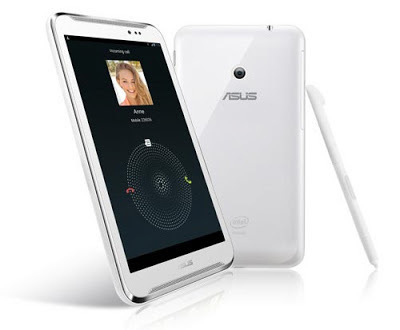 Asus has just unveiled its first "phablet" device, FHD6 Fonepad Note, at the Computex 2013. The 6-inch phone/tablet hybrid runs on Android 4.2 Jelly Bean OS and features a 1.6GHz Intel Atom Z2560 dual-core processor, a 2GB of RAM, a 1080p display, 8MP full HD rear and 1.2MP front cameras, and front-facing stereo speakers. The company doesn't specify when the phablet goes on sale and how much it will cost. Computex, Taipei, Taiwan (3 June, 2013) — ASUS today announced incredible new products at it’s “We Transform” Computex 2013 press event that transform consumers’ expectations about technology. Chairman Jonney Shih revealed the ASUS way of Design Thinking and introduced an entire line of innovative devices designed to simplify today’s digital lifestyle. The ASUS Transformer Book Trio is an innovative combination of notebook, tablet and desktop PC for unparalleled flexibility in work, play, and social activity, while the new Transformer Pad Infinity is the world’s first NVIDIA® Tegra® 4 tablet with a stunning 2560 x 1600 resolution display. ASUS also announced two new handheld devices, the 6-inch Fonepad™Note FHD 6 tablet with 3G voice-calling and the 7-inch MeMO Pad HD 7 value tablet with an MSRP of US$129. The ultra-compact VivoPC desktop, the VivoMouse wireless mouse with built-in multi-touch touchpad and the world’s first AC1900 router, the RT-AC68U, were also unveiled. The ASUS Transformer Book Trio is the world’s first three-in-one mobile device. With an 11.6-inch detachable display and dual operating systems, Transformer Book Trio transforms mobile flexibility by switching effortlessly between a Windows 8 notebook, Android tablet and Windows 8 desktop PC. Transformer Book Trio switches easily between operating systems to give users access to over 700,000 apps in the Google Play Store and over 50,000 apps in the Windows Store. The New Transformer Pad Infinity is the first in ASUS range of innovative dual-purpose mobile devices to feature a 1.9GHz NVIDIA® Tegra® 4 mobile processor with quad-core ARM Cortex-A15 CPU and 72-core GeForce® GPU. The 10.1-inch LED backlit display has an ultra-sharp 2560 x 1600 resolution with IPS technology for 178-degree wide viewing angles, plus 10-point multi-touch for smooth and responsive fingertip control. ASUS SonicMaster-enhanced audio completes the mobile tablet entertainment experience. The redesigned keyboard dock now features a multi-touch touchpad, USB 3.0 and an SDXC card reader, and gives longer battery life when the tablet is docked. ASUS MeMO Pad™ HD 7 is an incredible value 7-inch tablet with an MSRP of US$129 for 8GB capacity and US$149 for 16GB. MeMO Pad™ HD 7 weighs just 302g and has a quad-core processor, plus a 10-point multi-touch 1280 x 800 IPS display with 170-degree wide viewing angles. MeMO Pad™ HD 7 also features ASUS SonicMaster audio technology, and a front 1.2-megapixel camera and optional 5-megapixel rear-facing camera. It’s available in dark blue, white, pink and green colors. Part 3G smartphone, part tablet, ASUS Fonepad™ Note FHD 6 comes with a 1.6GHz Intel® Atom™ Z2560 dual-core processor and 1920 x 1080 Full HD Super IPS+ display. With a display brightness of 450 nits, ASUS Fonepad™ Note FHD 6 can be used outdoors in bright sunshine, while front-facing stereo speakers with ASUS SonicMaster technology ensure high-quality high-definition audio. ASUS Fonepad™ Note FHD 6 also includes a stylus for quick and accurate handwritten input. ASUS VivoPC is a wireless media center designed to provide HD Wi-Fi audio and video streaming through a high-speed 802.11ac connection. Its compact design sports a spun-metal finish, ASUS SonicMaster audio technology and two USB 3.0 ports. ASUS VivoPC also features SATA 6GB/s and easy internal access for upgrades. ASUS VivoMouse is a combined touchpad, mouse and PC remote designed to bring the Windows 8 touch experience to PCs without a touch display. VivoMouse has its own touchpad that even recognizes Windows 8 touch gestures and can be used as a wireless remote for home entertainment PCs. The ASUS RT-AC68U is the world’s first dual-band 802.11ac router with blisteringly fast combined AC1900 data rates of 1900Mbit/s. The RT-AC68U also features ASUS AiRadar technology that uses beamforming to focus the Wi-Fi for a stronger wireless connection and 150% greater coverage than other routers. The RT-AC68U features a Router-to-Router Sync mode that makes light work of sharing files. A simple invitation allows photos, videos and other files on USB-attached storage to be synchronized automatically to USB-attached storage on other compatible ASUS routers, without the need for a switched-on PC at either end. Other ASUS products announced at Computex include the Zenbook Infinity Ultrabook™, MeMO Pad FHD 10 tablet, G10 desktop PC with built-in UPS and the PA279Q ProArt WQHD pre-calibrated professional monitor. 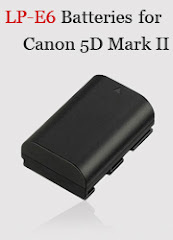 Please refer to each individual product’s press release for full product details. Images are available for download here.